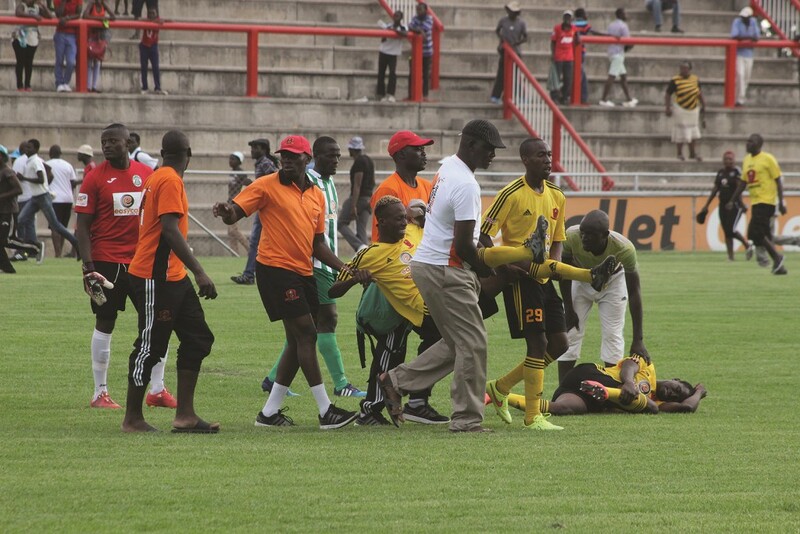 CHICKEN INN have a reputation of denying Dynamos a meal whenever the Glamour Boys visit Bulawayo, and yesterday was no exception. As the Castle Lager Premier Soccer League season came to life, it was DeMbare who came out firing at Barbourfields but at the end of the day the three points, the three piecer, went home with the Gamecocks. Obadiah Tarumbwa's second half goal turned out to be the winner. The result means Dynamos have only won once at Chicken Inn, 1-0 in September 2015, on the seven occasions they have visited the Gamecocks. The pick of Match Day 1 got off to an explosive start with DeMbare, who had Ocean Mushure playing on the left side of midfield, dominating the early exchanges. Mushure had young Romario Matova just behind him, and he roved up and down the flank but his crosses found no takers. Last season such crosses were the kind of stuff that Christian Epoupa feasted on. However, the Cameroonian was missing from the Dynamos team sheet amid reports of a contractual dispute between the striker and club. In Epoupa's absence, Tawanda Macheke led the Dynamos attack and gave the home defence a tough time with his incisive runs and clever touches in the first half. Gamecocks coach Joey "Mafero" Antipas breathed a sigh of relief after watching a Mushure free-kick — awarded after Devine Lunga had lunged at Cleopas Papurika, for which he earned a booking — curl just over on 14 minutes. Antipas could be seen calling on his charges to return the ball better but DeMbare's high pressing game gave the Chicken Inn players little time to settle. But when Clemence Matawu found his range, the home side found their groove. Simon Munawa had his pile driver diverted for a corner by Jimmy Tigere on 21 minutes before his team's penalty appeals were waved away by referee Nkosana Nduna after the ball struck Tigere's hand inside the box. New boy Wellington Kamudyariwa struck the upright with Dynamos goalie Blessing Mwandimutsira stranded late in the first half. Six minutes after the breather, Chicken Inn took a deserved lead; Tarumbwa directing the ball beyond Mwandimutsira after being set up by Innocent Muchaneka. After the goal Chicken Inn sat deep and allowed DeMbare to come at them but the visitors were a tad slow inside the box with Raphael Manuvire blowing a good chance on 59 minutes. Antipas showered praises on former Highlanders midfielder Munawa. "It was a team effort but Simon played a blinder in midfield," said the Chicken Inn coach. "We had a slow start but gradually grew into the game and managed to hold out for the win. It's a good start but we won't celebrate for long, focus turns to the game against Nichruit." DeMbare mentor Lloyd Mutasa felt hard done by. "For a start I feel the goal they scored was preceded by a push on Marshal Machazane, it was a deliberate push. But such is football. I would like to applaud the youngsters for a good show, it's just unfortunate that we failed to score and got punished," he said.